Many times a subcontractor, laborer, or equipment lessor providing materials or services for a construction project, does not have a direct contractual relationship with the owner of the property. For example, a property owner may hire a general contractor to redo his kitchen, and the contractor may then hire a subcontractor to provide the carpentry. 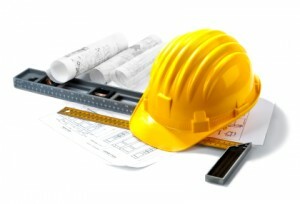 The carpenter may never communicate directly with the property owner, but only with the general contractor. Now, if the carpenter fails to get paid for the project, his only available option is a lawsuit against the general contractor. He can’t sue the owner for breach of contract, because he did not contract with the owner. He can’t sue the owner for unjust enrichment, because the owner paid the general contractor for the carpentry work. Even worse, the carpenter finds out that the contractor was incorporated, and that he has shut down operations. He failed to pay because he used the funds for overdue wages for employees. The carpenter can’t even place a claim with the contractor’s bond, because the law only requires a bond to cover consumers’ claims and unpaid wages. Some contractors may buy more protection than the law requires, but this is rare. So is our carpenter out of luck? It depends on whether he took the steps necessary to secure a mechanic’s lien on the property. If the carpenter provides the necessary preliminary notice, timely recorded a claim of lien, and filed suit to foreclose on the lien, the carpenter has a good chance of being paid for his work by the property owner. The lien is valid even if the property owner paid the general contractor the full amount owed, including some amount for the carpentry. Needless to say, this puts a lot of pressure on the owner to make sure all of the subcontractors and material suppliers are paid. However, in order for the lien to be available, the subcontractor looking to acquire a lien must give notice to (1) the contractor he performed the work for, (2) construction lenders, if any, and (3) the property owner. The contents of the notice are set out by statute. The statute requires the expected general information, such as the name and address of the owner and the claimant, a description of the work, and a description of the services or materials performed, and the estimated amount owed. It also requires a block of bold text warning the owners of the consequences of the notice and the possibility of the lien that must be directly copied from the statute and placed conspicuously on the notice. This document, generally referred to as the preliminary notice, must be given within 20 days after the claimant has first furnished work or material for the project. Although the statute states that failure to file it within that time does not bar the claimant from placing a lien, the statute limits the lien to work performed within 20 days of giving notice. It is advisable that anyone who regularly performs construction work, provides materials for construction, or leases equipment for construction, have a form of preliminary notice that has been reviewed and approved by a qualified attorney to assure compliance with the statutory requirements. 20 days, less than three weeks, can be a short period of time on a construction project. Fortunately, California Civil Code Section 8206(c) expressly states that a preliminary notice not only covers the work described in the notice, but also covers work performed by the claimant after the notice is served. Work performed after service of the notice is included, even if the work is outside of the general description provided in the notice. As there is no penalty for serving a notice, and the window of time for service is so short, it is advisable to serve a notice within 20 days of starting work unless you have been paid in full. If a notice is not properly served or does not comply with the statute, the claimant loses his right to a lien. After completing work on the project, the claimant then needs to prepare a claim of lien, which will include the preliminary notice as well as additional language provided for by the statute, and the final amount of the claim. This claim of lien must then be recorded with the County Recorder. It must be recorded after completion of work, but within either 90 days of completion of the project, or within 30 days of the owner recording a notice of cessation. Just as with the preliminary notice, failure to timely record or serve the claim of lien renders the lien unenforceable as a matter of law. The window of time to enforce the lien is also quite narrow: suit must be filed within 90 days after the claim of lien is recorded. Failure to file a lawsuit to foreclose on the mechanic’s lien within that 90 day period renders the lien unenforceable. There is an exception if the claimant and owner agree to an extension of credit, but there is an absolute deadline of one year after completion of the work. Generally, if you have not filed suit within three months after recording, you have lost your lien. A mechanic’s lien is available for any person or entity that provides labor or materials, or rents equipment, for use on a construction project. It allows the provider a remedy directly against the property owner. However, in order to have an enforceable lien, the provider must: (1) serve a preliminary notice within 20 days of starting work, (2) record and serve a claim of lien within 90 after completion, or within 30 days of the owner recording a notice of cessation of work, and (3) must file a lawsuit to enforce the lien within 90 days after the claim of lien is recorded. Failure to meet any of these three requirements renders the lien unenforceable.